Behind the Chamber 2017: Voice On Point | ¡VidaMaz! 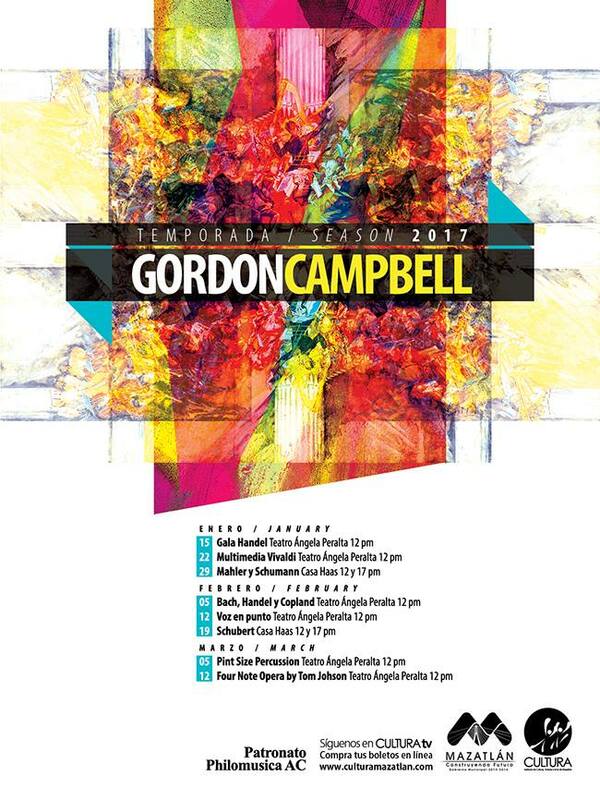 I am proud to present to you a series of interviews with Maestro Gordon Campbell in which he gives us a sneak peek of the 2017 Temporada Campbell. The fifth concert in this year’s series will be held on Sunday, February 12, 2017 at noon in the Angela Peralta Theater. Entitled “Voice on Point,” the a cappella performance will feature Mexico’s most internationally recognized vocal ensemble, “Voz en Punto.” Comprised of baritone and director José Galván, sopranos Liliana Montiel and Vanessa Millán, dramatic soprano Sonia Solórzano, and tenors Sergio Quiroz and Luis Martínez, the group has performed with Bobby McFerrin and the King’s Singers and has received numerous international awards.